1-1/4 mile loop through cattail marsh, a pond, and hackberry and mesquite groves. This 1.25-mile loop trail was designed as wheelchair accessible with gentle surfaces and no slopes. The first 1/4-mile is a paved sidewalk. About one-third is several sections of five-foot wide boardwalk. The boardwalk section is straight with a few gentle curves, with railing along portions that rise above open water or wetlands. Sections between boardwalks are packed dirt. The trail includes two overlook decks at significant desert wetland open ponds. One deck features two telescopes, one at an accessible height. The boardwalk was built by the Youth Conservation Corps (YCC)in the 1990s. The walking surface and railings were replaced by refuge staff in 2007. It is given annual maintenance by refuge volunteers. Volunteers from Tucson Audubon Society conduct guided walks on the trail every Saturday from November through April. Joining these walks are people from all over the United States and often from foreign countries. The trail preserves habitat because the boardwalk extends over the seasonally wet areas, preventing compaction of sensitive vegetation and soil. The ecosystem surrounding the trail is the westernmost and lowest elevation cienega in the American Southwest. Cienegas, Spanish for "a hundred waters," are spring-fed marshes, particularly rare and precious in the deserts of Arizona, attracting an abundance of birds and other wildlife. Deer, javelina, bobcats, mountain lions have been seen at the cienega. Several magnificent old cottonwood trees tower above the cienega meadowland and marshes, providing nest sites for gray hawks and great horned owls. The mix of cattail marsh, a pond, seasonally wet meadow, and hackberry and mesquite groves attracts a diversity of birds, mammals, reptiles, and butterflies. Lying close to the Mexican border, this site attracts several bird species that are at the northern end of their range. Southern Arizona attracts large numbers of birders seeking these specialties. Examples of subtropical specialties at Arivaca Cienega are gray hawks, northern beardless tyrannulets, blackbellied whistling ducks, tropical kingbirds, and green kingfishers. Endangered and threatened species at the site include the yellow-billed cuckoo and southwestern willow flycatcher. A regular treat is the vermillion flycatcher, a strikingly bright red bird. Birders come from far away to walk the trail. Because the trail is very close to the town of Arivaca, it receives a lot of use by local people who enjoy a relaxing walk and visit in nature. School groups visit the trail several times a year for field trips staffed by the refuge staff and refuge volunteers. Field trips typically have 4 "stations" spaced along the trail, each featuring a separate topic of natural history, such as birds, aquatic insects, mammals, and geology. The refuge partners with Santa Fe Ranch, an environmental education facility that brings inner-city youth from the mostly Hispanic population at Nogales, Arizona, to the trail. These outings offer unusual opportunities for underprivileged urban elementary school children to get outdoors and learn about nature. One field trip outfitted the students with cameras and resulted in a gallery exhibition of their photographs and a public presentation in which the children described their photographic images and why they chose a particular shot. The trailhead features a large octagonal shelter, containing benches with backs and armrests, and very attractive and colorful interpretive signs. 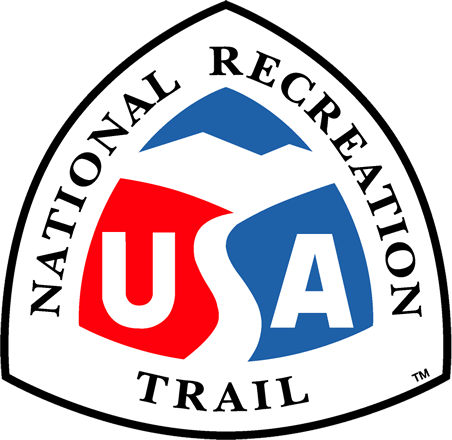 The trailhead area also contains two picnic shelters with tables (one handicap-accessible)and vault restrooms. Several benches and interpretive signs are located along the trail.